Engineers working on iTunes Radio prefer to listen to Spotify and Pandora because they were better platforms, according to a new report from Buzzfeed. It claims that not only did those employees prefer Apple's competitors over its own radio service, but it says middle management was willfully ignorant about how Spotify worked, thinking it was just another streaming service. 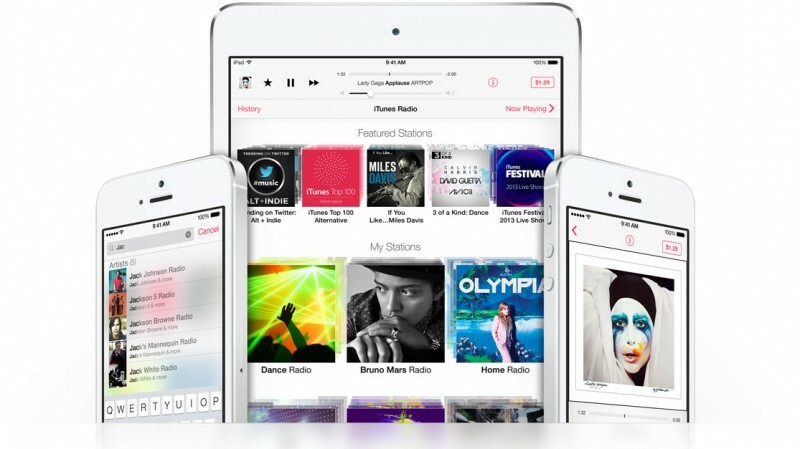 It's "why they thought iTunes Radio would be a Spotify killer," said one employee. The piece alleges that Apple has been overly focused on driving downloads on iTunes and slow to adapt to a shift in user listening preferences towards subscription-based services. Past and current employees in the company with direct knowledge of iTunes and Apple's services Ping and iTunes Radio told BuzzFeed that Apple engineers involved with those products often preferred to use Spotify and Pandora. "Everyone's excuse was it's because we work on iTunes, running and closing the app after every code change," one source said. "But it's really because Spotify has all the free music with a real social platform." In their personal time, sources said, employees used Spotify and Pandora. The disconnect between employees, along with a belief that Spotify and Pandora weren't real threats to iTunes, may have been a significant contributing factor to Apple's slowness to embrace streaming music. A reluctance to cut into its iTunes sales was also likely a factor, as it was the platform that revolutionized the music industry back in 2003. According to a recent report from The Wall Street Journal, Apple's main goal with iTunes Radio was boosting both device sales and sales of iTunes music, which largely ignored the real problem -- the growing popularity of on-demand streaming music and the products being offered by competitors. iTunes Radio was viewed as a "baby step" into the streaming music industry when what Apple really needed was a leap. Apple had a similar issue back in 2010 when it launched Ping. Designed as a social networking and music recommendation service, Ping was created to push users to purchase songs rather than as a true effort towards improving recommendations, which ultimately led to its failure in 2012. "The biggest reason why Ping failed was because Apple was not interested in making a network -- they were interested in making a purchase pusher," said one of Buzzfeed's sources. With the purchase of Beats, it appears that Apple is finally ready to make a significant leap into the streaming music industry, though a cautious one. The company reportedly plans to keep Beats as a standalone brand rather than integrating it directly into iTunes, which gives it a safety net should the service ultimately fail. Along with the streaming music service itself, Apple is also gaining fresh blood for its music endeavors. Beats co-founders Jimmy Iovine and Dr. Dre, both of whom are set to join Apple as employees, both have extensive experience in the music industry and an invaluable rapport with a younger generation of listeners. Those middle management guys should be looked into and possibly fired. "According to a report from Buzzfeed". I guess now we know where the MobileMe engineers went. Rumors based on statements from anonymous people are always true. Seriously, that is just embarassing. I would pretty much fire everyone involved. I used Spotify before Apple bought Beats. I gave Beats the 14 day trial after the merger & I have to say I really like Beats. It gives great recommendations & the ability to download & listen offline was the biggest reason I liked Spotify, & that feature is available in Beats. I would suggest everyone give Beats a try. i think you will be pleasantly surprised. Oh please. The biggest reason Apple is behind in music streaming is because Steve's MO was that you should own music not rent it.